Batteries have come a long way. Over the years, improved technology and better design have made them a very safe and practical power source. However, they’re not completely harmless if handled incorrectly. Knowing what (not) to do with batteries is therefore an important step towards optimal battery safety. Read on to find out. Keep batteries stored high and dry in a non-conductive box. Avoid storing them together with metal objects that could cause them to short-circuit. Batteries don’t normally leak on their own. Leakage is most often caused by improper contact or by leaving them in unused devices. If you notice chemical discharge, be sure not to touch it. Try removing the batteries with a paper towel or a toothpick. Dispose of them at your nearest recycling point. If possible, charge your batteries with a charger from the same brand. While most chargers will work just fine, the safest option is to use a Panasonic charger to charge Panasonic batteries. Speaking of charging, don’t worry if your batteries become warm to the touch while they’re in the charger. As fresh power flows into the cells, some heat is perfectly fine. Use common sense: when they become unusually hot, unplug your charger immediately. Respect the batteries’ sizes. Don’t try fitting AA batteries into D-sized battery holders. Again, the device may work perfectly, yet the risk of improper contact significantly increases. But don’t despair: you don’t necessarily need to buy larger batteries for large battery holders. A battery spacer will do the trick: it allows you to safely use AA batteries in larger holders. Keep your batteries where children can’t reach them. 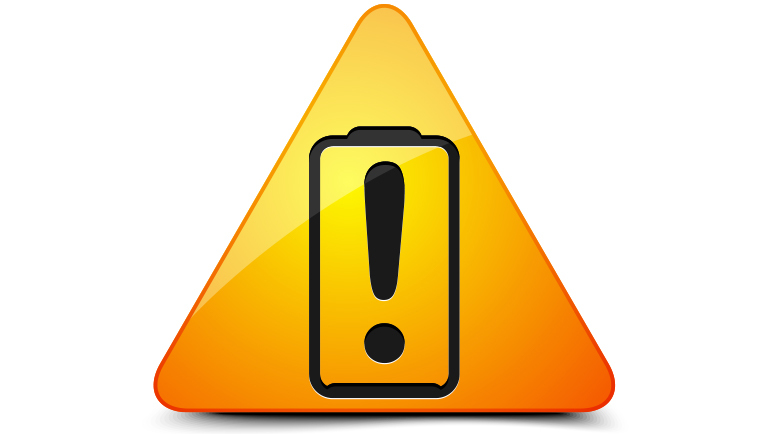 As with every small object, children may swallow batteries if they handle them incorrectly. Coin batteries are especially dangerous if they’re swallowed, as they could get stuck in a child’s smaller throat and cause suffocation. If that happens, immediately get to your nearest emergency room. Battery safety isn’t rocket science - it’s common sense. Be on the lookout for these pitfalls and you’ll be able to use your batteries optimally.